Yusheng, also known as the “Prosperity Toss,” is a Chinese New Year culinary tradition. “Yusheng” literally translates to raw fish, but like many things in Chinese, the sound of the words phonetically can also mean wealth and prosperity. 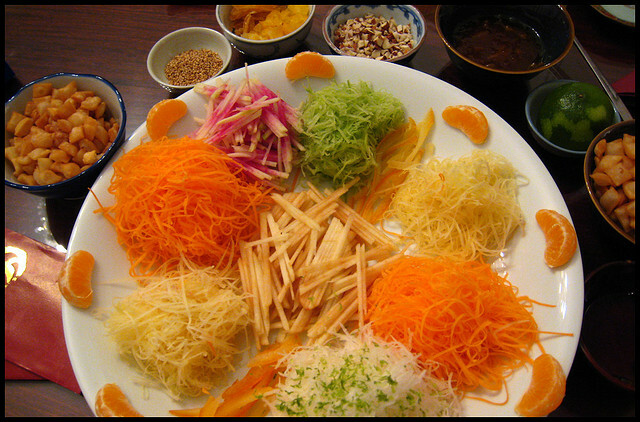 Yusheng is a holiday dish, unique to CNY – in essence, it is a raw fish salad prepared by placing all the ingredients separately on a platter. The salad is then tossed into the air by all the diners and blended in this way before eating. 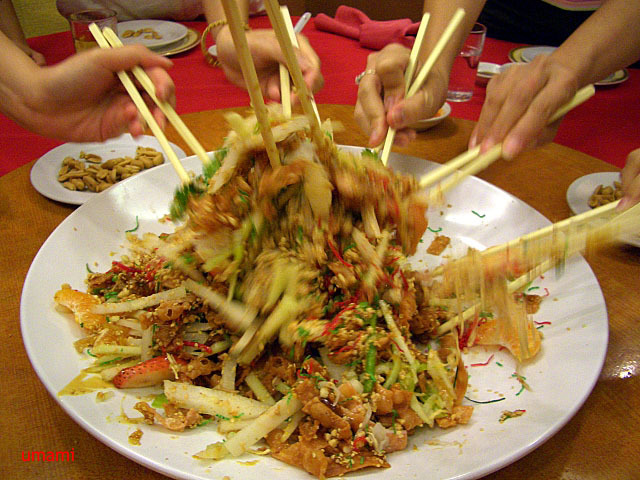 While it is believed to have originated from fishermen in the Guangdong province in Southern China many decades ago, yusheng salad is now a uniquely Southeast Asian tradition of immigrants and has been commonly served in the ethnic Chinese communities in Malaysia, Singapore and Indonesia for the last 60 years as an important CNY ritual. The salad itself consists of strips of raw fish (usually salmon) and shredded vegetables such as radish, cabbage, red pepper, carrot, pickled ginger, lime leaves, Chinese parsley, jellyfish, shrimp crackers, peanuts and more. 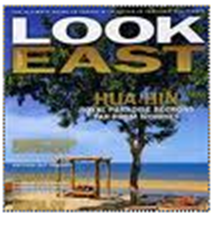 The sauce is commonly a plum sauce with vinegar, kumquat paste, Chinese 5 spice powder and many other seasonings for a total of 27 ingredients. Although, today there are modern versions which substitute different kinds of fish and vegetables – some are even themed, e.g. Japanese style or Indian style, substituting for example Japanese rice crackers instead of shrimp crackers. While you might have visions akin to a food fight, the dish has a more thoughtful way of being assembled in accordance with the significance of the CNY holiday. The base ingredients are first served and then the host will add separate ingredients to the platter in a certain order while saying “auspicious wishes.” Each ingredient has a certain symbolism, so the wishes are uttered specifically for the item being added to the plate in keeping with the CNY them of abundance and prosperity. Once all the items have been added to the salad, everyone stands together and inserts their chopsticks to “toss” the salad. As the ingredients are tossed into the air various auspicious wishes are repeated aloud. In Chinese tradition, it is believed that the height of the toss corresponds to the degree of the person’s fortune, thus, it can get a bit messy as people tend to toss the salad with great enthusiasm. Said to have created the modern yusheng tradition in Singapore in 1964, Lai Wah restaurant in Singapore is THE place to experience an authentic yusheng prosperity toss. Wow…I have never heard of this before and now I want to try it…where do you suggest I go? I was in southeast Asia for New Year’s this year, Borneo, but I guess I missed out….Love this post.